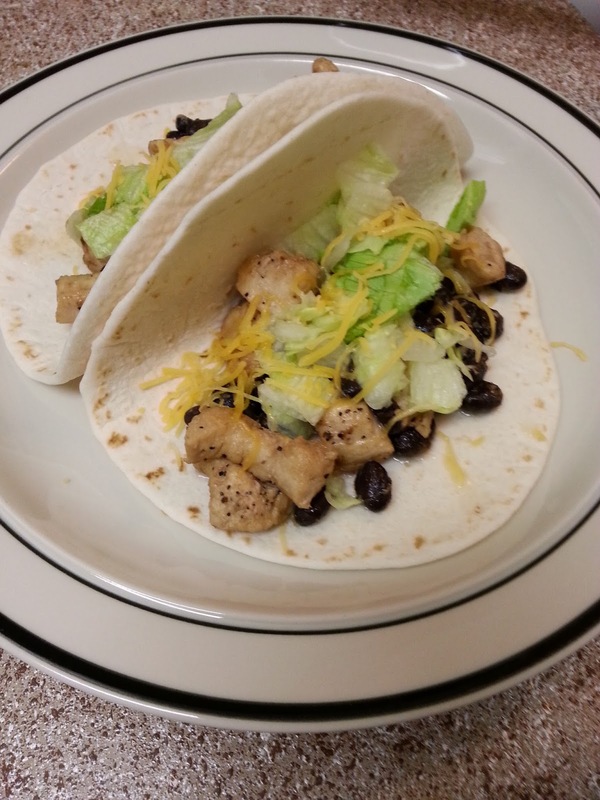 Our Taco Chicken with Black Beans is a winner! Easy, tasty and tender. Place chicken in a plastic resealable bag, add teriyaki sauce and pinch of salt. Place in the refrigerator and marinade for 30 minutes. In a skillet heat oil over medium heat. Add chicken and cook until no longer pink, about 5 minutes, turning once. While the chicken cooking, in a saucepan, add black beans and water. Cook over low heat, until heated through. 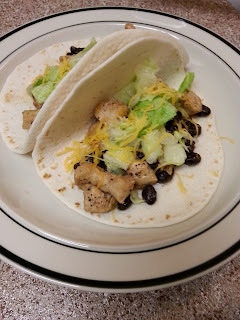 Spoon the black beans onto the tortilla, top with chicken, lettuce and cheese, and serve. Make ahead, the chicken and black beans can be refrigerate overnight in separate containers, then reheat gently.